Manages research staff to ensure appropriate conduct for clinical trials are in accordance with the study protocol, policies and regulations and patient safety supporting nearly 200 clinical trials for advanced therapies within 20+ specific disease units. Supports teams in biology who develop effective therapies for the treatment of oncology diseases, prevention, and patient care, including community outreach and patient education. Regularly collaborates with Principal Investigators on assessment s of highly complex trials. Oversee the research staff and investigators, are conducting the study per Good Clinical Practice guidelines and regularly monitors federal and state regulations for new guidance, updates, or policies. Assigns nursing and research support staff to the disease team specific clinical trials. Hires, trains, supervises and evaluates staff providing direction, training, support on a variety of research topics, including but not limited to: Informed Consent, enrolling study subjects, data management and monitoring/auditing of studies. Identifies accrual targets, study activation timelines and metrics and resolving potential discrepancies and/or barriers to enrollment by prior to study activation. Monitors federal and state regulations for new guidance, updates, or policies and closely maintains a high degree of knowledge on these requirements to determine actions and follow directives that may be required to ensure the organization’ s compliance with reporting requirements. Prior responsibilities monitoring policies, practices and procedures of staff. Advanced knowledge of Good Clinical Practice guidelines. Thorough knowledge of clinical trial study protocol, applicable policies, and regulations and participant safety. Proven ability interpreting federal, state, and sponsor (pharmaceutical) policies and regulations. Advanced interpretation of complex clinical trial protocols and federal, state, local guidelines. Solid technology skills and ability to report metrics and status reports of project deliverables. Krisha Morander, a Certified Personnel Consultant, (CPC), has over 25 years of experience in the healthcare staffing industry. She also has corporate HR Recruitment, homecare, mental health and academia background to compliment her overall knowledge of hiring talent. Krisha has been continually recognized within our agency for achieving record-high placement activity. 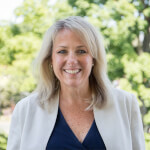 She places all levels of healthcare professionals within a broad spectrum of healthcare organizations across Connecticut and Massachusetts including hospitals, managed care organizations, physician practices, pharmaceutical organizations, mental health, government facilities, and long term care and rehab facilities. Krisha also complements her searches in the areas of clinical recruitment, information technology and clinical trials & research. The blend of clinical informatics, statistics and analysis are an integrated part of measuring outcomes and data to measure surveys and scores. Krisha continues to stay connected with this evolving and complex industry through her membership with the New England Chapter of Healthcare Information and Management Systems Society (HIMSS). Krisha majored in marketing with a concentration in Human Resources. Krisha’s industry knowledge, communication skills and passion for recruiting make her an invaluable recruiter here at J. Morrissey.